The Democratic Coalition’s ongoing investigation just uncovered the following evidence linking GOP Senate Majority Leader Mitch McConnell (R-KY) to Russian oil money, some of which we first revealed in February 2017. 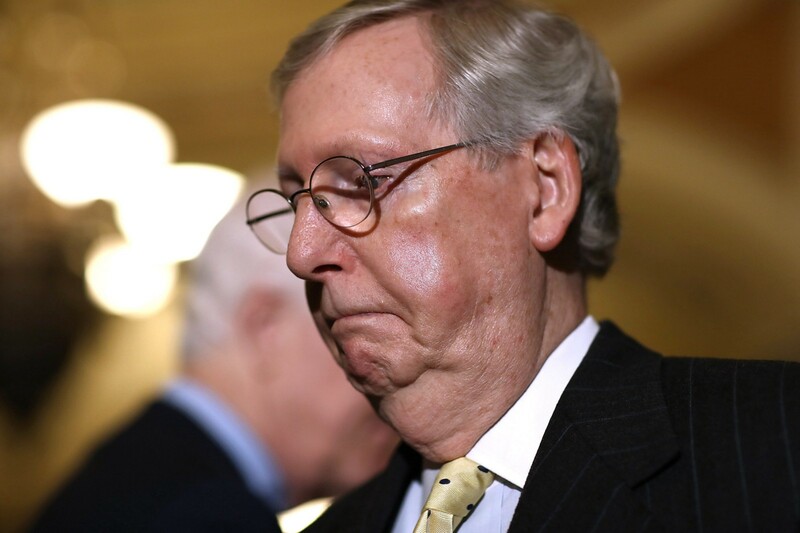 McConnell recently voted to drop sanctions against Russian aluminum company RusAl which is still owned by one of Vladimir Putin’s sanctioned oligarchs, Oleg Deripaska. His action directly benefits one of the GOP leader’s major donors, whose fortune comes from Russian oil. The Senate Leadership Fund, a super PAC run by Sen. McConnell’s former Chief of Staff, received a total of $3,500,000 ($2,500,000 in 2016 and $1,000,000 in 2017) via Access Industries and a subsidiary. Len Blavatnik is a Russian oligarch with US and UK citizenship who owns Access Industries and donated to Sen. McConnell’s 2016 Senate campaign vehicles. Blavatnik’s Access Industries made many of its billions from Putin’s decisions about its Russian oil partnership. He is also a long-term business partner of Kremlin-linked Russian oligarch Oleg Deripaska at RuSal, in which he is a major investor, as well as Viktor Vekselberg, who is entangled with Trump’s personal lawyer Michael Cohen through his U.S. family office Columbus Nova. Last week, Sen. McConnell led 42 Republicans in voting against a resolution to maintain sanctions on Blavatnik’s business partner Deripaska. The Trump Administration formally dropped sanctions on the night of January 27th, 2019, which were imposed against Deripaska, Blavatnik’s long time business partner, for his high-level role in Russia’s election attack against the United States in 2016. Treasury Secretary Steve Mnuchin is also a longtime business partner of Blavatnik. The House of Representatives voted overwhelmingly 362–53 to keep sanctions in place against Deripaska, which were originally imposed to ensure that Russian oligarchs profiting from the Kremlin’s interference in the 2016 presidential election would face consequences for their actions. Blavatnik gave a total of $7.35 million to PACs working for high-ranking Republicans including organizations linked to both the Speaker of the House and the Senate Majority Leader during the 2015–16 federal campaign cycle. Special Counsel Robert Mueller is probing donor Blavatnik for his ties to Donald Trump and specifically a million dollar inaugural donation. Forbes amply documented Blavatnik’s source funds from the Kremlin in 2013 by exhibiting a copy of the wire transfer itself in a story entitled “The Four Horsemen of Russia’s Economic Collapse.” It described his sale of a private Russian oil company to state-controlled Rosneft.